Do You Have a Newborn and Need Help Moving in the Atlanta, GA, Area? 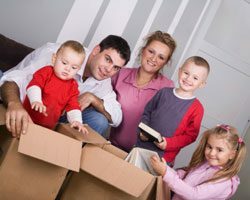 If you need help moving with your newborn to or from the Atlanta, Georgia, area, it is very understandable. Relocating can be difficult enough without having a crying baby to take care of at the same time. However, there are several ways that you can prepare yourself for moving that will help alleviate your stress and ensure the process goes smoothly from start to finish. Pack smart – Avoid boxing up your baby’s essentials first, since chances are you will need them before moving day. Instead, pack up the essentials (diapers, formula, wipes, etc.) last, and place them in one or two separate boxes that you will keep with you during the moving process. Maintain a consistent routine – While maintaining a strict napping and feeding schedule may not be easy, try to keep your baby’s everyday routine as normal as possible during the move. Hiring movers is a smart idea, since this will give you more freedom to tend to your baby. Baby-proof the new home – Make sure to secure windows with window guards, cover electrical outlets with outlet covers, secure furniture to avoid tip-overs, and put up safety gates to block stairs and other dangerous areas. Set up the nursery first – Your child’s nursery should be the first thing you unpack when you get to your new home, since it will be a calm and reassuring space for your baby. If you need moving services in the Atlanta, GA, area, contact the professionals at Bulldog Movers. We have been successfully operating our business for more than three decades, and can provide you with helpful services that will take the burden of relocating off your shoulders so you can focus on your child and look forward to your next adventure. Contact Bulldog Movers today for more information on getting the moving assistance you need for your upcoming relocation to or from the Atlanta, GA, area.